Shawn Jackson is a professional photographer originally from the island of Roatan, Islas de la Bahia, Honduras. Roatan is a tiny island located in the Caribbean. Jackson began his photography career underwater as an underwater photographer and videographer. From there he branched out, starting his own firm shooting topside as well. For years he lived in the United States where he opened another branch of his photography firm handling countless U.S. clients and presenting work in many U.S. galleries. Jackson covers the commercial photography campaigns for many large scale resorts and hotels in the Caribbean and abroad. In addition to commercial and real estate photography, he shoots countless weddings and other events. His passion for nature photography has been his driving force in his career as an artist. Jackson also photographs for commercial client and lifestyle brand, Salt Life. In 2016 Jackson became an official Salt Life Team Member, serving as a Brand Ambassador and genuinely living the "salt life" as an underwater photographer. In 2015 Jackson received the honor of being named one of Ikelite Under Water System's Official Ambassadors. Jackson uses Ikelite housings for his underwater photography and is thrilled to have been included into this exclusive international cohort of underwater photographers. You can view Jackson's work in many SCUBA Diving industry magazines (like SCUBA Diving & Sport Diver) as well as in countless nature and fine art publications. 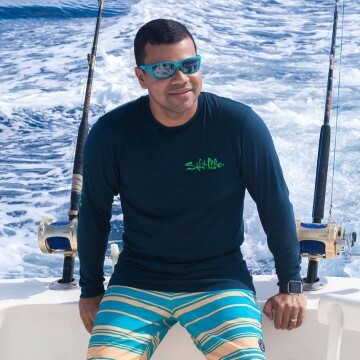 Jackson's work has been used in conservation efforts, most notably as the image used by the President of Honduras to sign the new Shark Sanctuary legislation into law earning his photography time on CNN and in the New York Times. Today, Jackson has moved back to the island of Roatan with his family and can be seen beneath the crystal clear Roatan waters shooting amazing underwater images. Jackson's brand new Fine Art Gallery & Studio just opened in West Bay at The Beach Club-San Simon next door to the Mayan Princess Beach Resort.